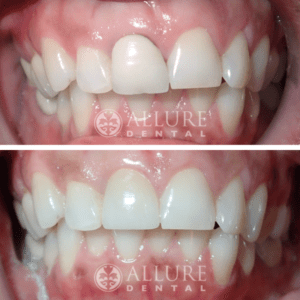 At Allure Dental, we often have patients asking about options for improving their smiles. Their specific wish lists can range from teeth whitening and bonding to veneers, teeth realignment, and replacing old fillings and crowns. 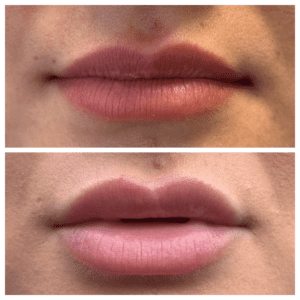 With smile makeovers, we are looking at cosmetic options that will refresh and improve your smile to restore your confidence. 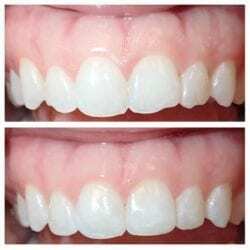 Teeth whitening is one of the quickest options for refreshing your look. 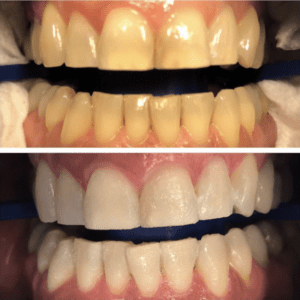 From over-the-counter strips to take-home kits and in-office systems, teeth whitening has come a long way. 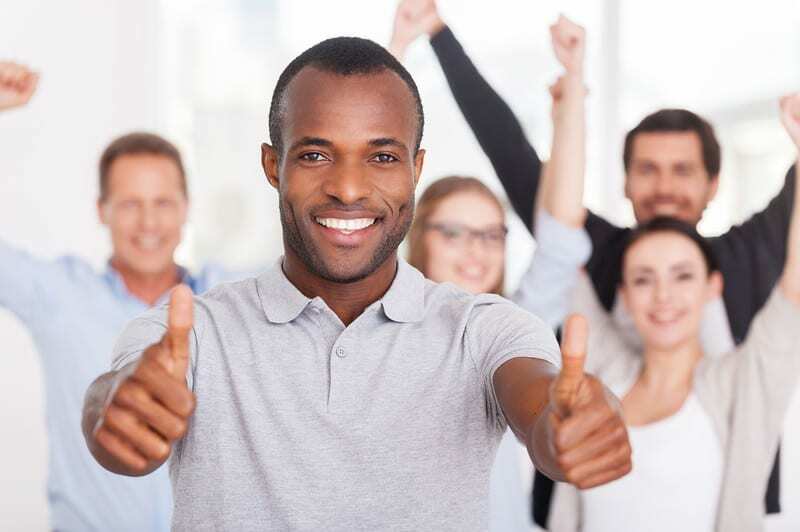 Read more about our recommendations and call us if you are interested in setting up an appointment to further discuss your options. 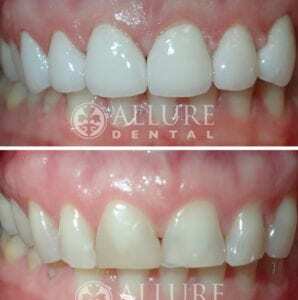 For patients with uneven, crooked, or stained teeth, porcelain veneers are often the best solution. Veneers are thin shells that are custom-designed to fit your teeth precisely and even out imperfections. 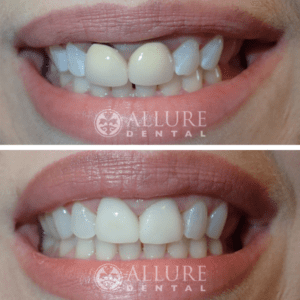 In the hands of a highly skilled dentist, porcelain veneers can transform your smile and be virtually undetectable. They are a great option for a wide array of situations. 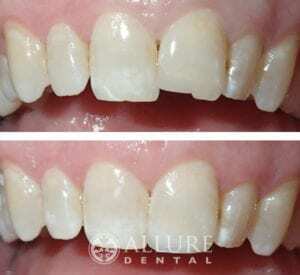 Veneers are very durable, and with proper care and maintenance they can last for many years. 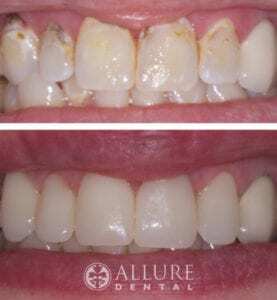 Some patients believe they need veneers, only to find out that some cosmetic bonding can do the trick. 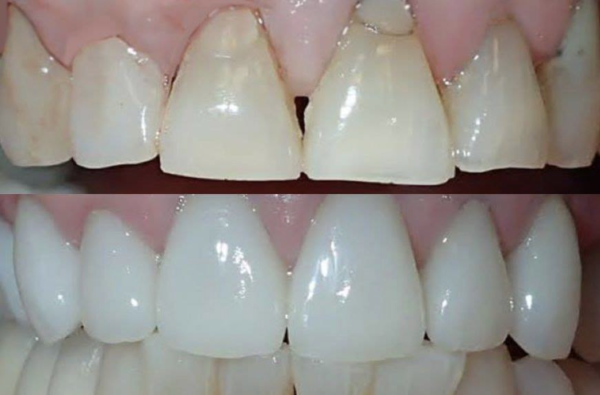 Bonding involves using resin to fill in chips, reshape your tooth, and match the color of your natural teeth. 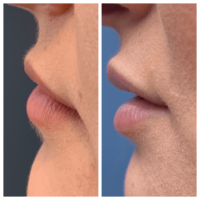 This is a relatively quick procedure that can give great results, particularly if only a few teeth need some adjustments. 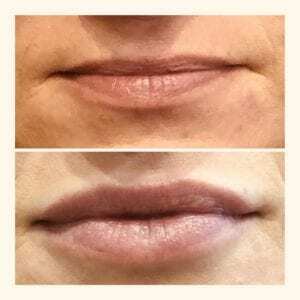 Dr. Daniela takes great care to ensure proper shape and color, so you get your best result. Though bonding will not last indefinitely, with good care patients can enjoy years of use. 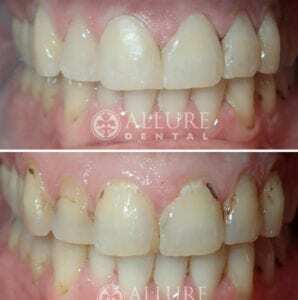 Sometimes, part of a smile makeover involves replacing old crowns and fillings. 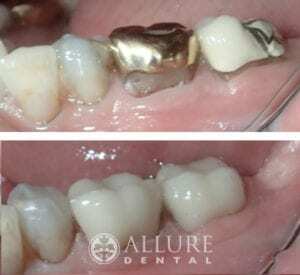 Because materials and technology have improved over the years, today’s crowns and fillings are more aesthetically-pleasing. 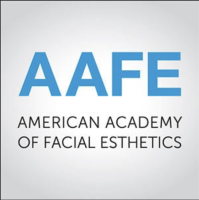 If you are unsure if your older dental work needs to be replaced, or if you would like to explore this option for aesthetic reasons, call our office to schedule a consultation.